The RPG genre is known for some of the most sweeping, epic stories, memorable characters, and intuitive gameplay mechanics. However, there is one area even the RPG greats have yet to cover: the world of cats. 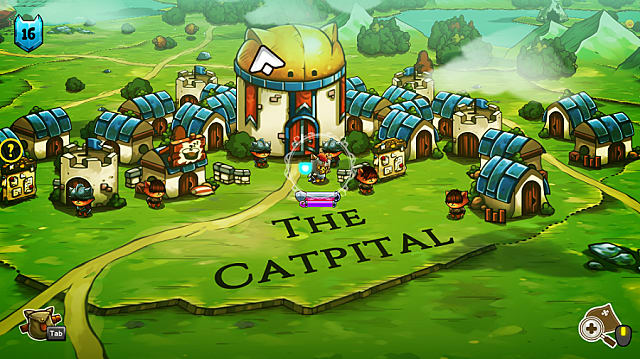 That's where The Gentlebros' latest outing, the award-winning Cat Quest, comes in, seeking to address a gap in the RPG market in more ways than simply providing an irresistibly adorable protagonist and charming world. Desmond Wong of The Gentlebros was kind enough to take time out of his schedule to discuss the open-world game in detail, including its inspiration and where it fits in the current RPG market. Joshua Broadwell: The Gentlebros website mentions that the studio is made up of veterans in the industry. Would you be able to provide some titles or companies you are associated with to give the reader a better idea of the studio? Desmond Wong: This may be a slight shocker considering that we developed Cat Quest, but all of us were from Koei Tecmo! Our experiences include games like Dynasty Warriors, Fatal Frame, Nioh, and Dead or Alive, just to name a few. It's a huge departure from what we used to be doing, but the lessons we learned there definitely helped shape the games we make today. JB: According to the development blog, making a game centered around a cat was always a central focus. Why was that, and did you find it more difficult to come up with concepts that would fit with a cat hero more difficult than if it were a more traditional protagonist? DW: It's actually the opposite. A very large majority of games and RPGs are centered around human characters, and for good reason! Human characters are instantly more easily relatable, and, hence, more likely to be enjoyed by a greater number of people. However, this also means that the type of stories you can tell would be less fresh and probably done a million times before. The good thing about choosing a cat protagonist and world is that suddenly everything feels new again. Cats would have different problems from humans, and the way they speak or the way they would name their cities and towns would be different as well. This gives us a chance to tell new stories and, hopefully, give players new experiences as well. JB: The game was partly inspired by a lack of 2D open-world adventures on mobile. What other inspirations were there for art style and gameplay? DW: For the art style, we were really inspired by old medieval maps. 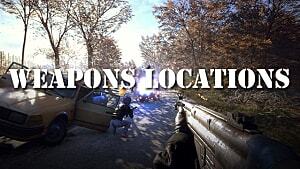 We really liked the sketchy look and how the location names were on the map itself. We also really liked the overworld of older JRPGs (mainly because we grew up with them) and wanted to create an open-world overworld game, if that makes sense. 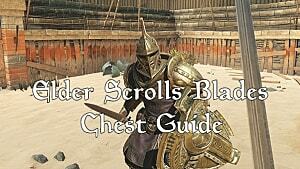 Gameplay-wise, we were inspired by titles like Skyrim, Zelda, and Final Fantasy. We wanted the exploration in Skyrim but the simplicity of combat in Zelda. 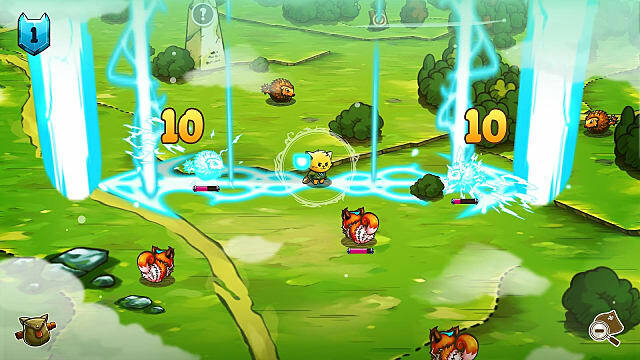 We designed Cat Quest to be a really rapid-fire RPG. You can play the game for five minutes or for hours and still feel like you're constantly accomplishing something. We really love open-world games but feel some of them have gotten so bloated through the years, and Cat Quest is our way of trimming down the fat to give a really concise and concentrated experience. 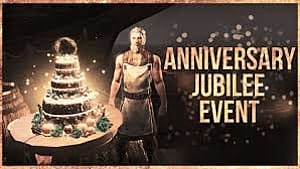 For us, this is an open-world RPG condensed to what makes them fun, and we hope we managed to succeed in doing that! JB: How do you balance being inspired by a certain game or style and still making it something unique? 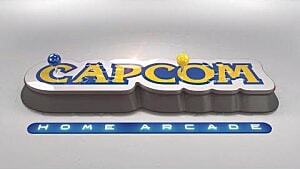 DW: I think on some level, all designers are inspired by the games they've played. Every game we play subconsciously influences our design and perception of what is fun. However, we always try to make sure we give our mechanics a twist. We're constantly asking ourselves, "Is this mechanic too similar to something else?" and "What can we do differently?" Sometimes it's okay to be influenced, because why fix something that is proven to work? But other times, you'll want to introduce your own little quirk that makes your game stand apart from the rest. For Cat Quest, that mantra was simplicity. For better or worse, we wanted to take existing mechanics in RPGs and see in what ways we could simplify it. Take our quests for example. We really hate how in open-world RPGs you can unintentionally take a dozen side quests at one time and feel so bogged down and overwhelmed. So we decided it would be interesting if we forced players to only take one quest at a time (a la GTA). 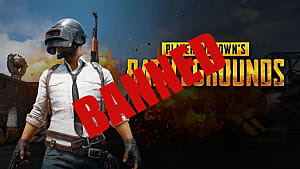 JB: Many players, unfortunately, have a negative opinion of mobile games. Was there ever a concern that Cat Quest might be dismissed for being on mobile first? DW: Actually, Cat Quest came out on Steam and iOS simultaneously. But disregarding that, yes, there was obviously that concern. Mobile games have been getting a very bad rap through the years, mainly due to the F2P genre. When people hear of a mobile game, they instantly write it off as a "bad" game, and that was something we were definitely concerned about. However, what we found was that this was the vocal minority. 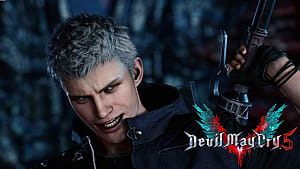 A lot of people actually don't really care, and if it's a good game, they will be interested in it and eventually buy it if it's up their alley. We've had people who told us they bought both the mobile and Steam versions because they wanted to play on the go and at home. This was really awesome to hear for us! We think that at the end of the day, your game has to feel like it's designed for the platform you're going to release on. This is why we redesigned the control from the ground up for both PC and mobile. If you're playing on PC, you will feel the game was designed for it, and likewise if you're playing on mobile. Do that, and the players will appreciate that and support your game. JB: The cat puns are an integral part of the game and are pulled off very well. How difficult was it to get them to work right, or did it just flow naturally? DW: In some ways, we had to create our own "cat language." Right from the get-go, we made a decision that our cats would speak differently from humans and that they would speak exclusively in puns. This means everything in the game, from the town names to the items to the spells, would all be in puns (because that's the cat language we created). With this in mind, we made a term base of normal words and their cat alternatives. So words like "very" would become "furry." "Awesome" would become "Pawsome," etc. Then it was just a matter of keeping our dialogue consistent and making sure we followed the rules set by our cat language. 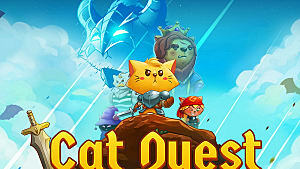 JB: What was the process like porting Cat Quest to PlayStation 4 and Nintendo Switch, and was there an easier platform to work with? 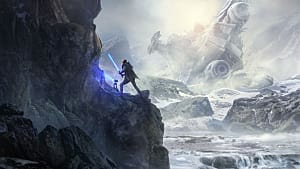 DW: We think that both consoles had their pros and cons for sure. Overall, though, developing on the Switch was more fun because, honestly, we really like the hardware! JB: For the RPG player used to somewhat more serious outings, what would you say to convince them to give Cat Quest a try? DW: Play Cat Quest if you want a new, fat-free, condensed experience of what an RPG could be. 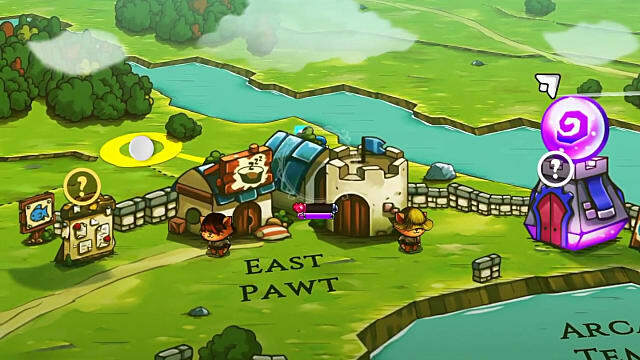 Cat Quest is a rapid-fire RPG and feels much faster-paced and different from the more plodding open-world RPGs out there. The more traditional RPG experiences aren't going away, but if you want to try something new, give Cat Quest a shot! 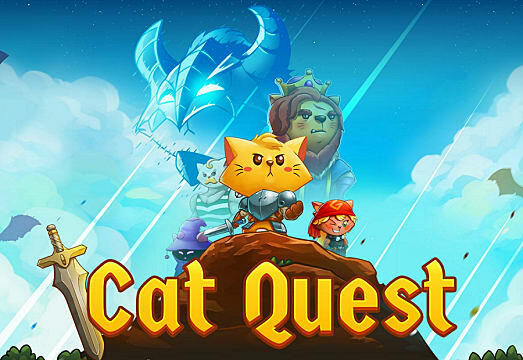 Cat Quest released earlier this year on iOS and Steam, and the Switch and PlayStation 4 versions are out November 10th. If you're interested in learning more about the game's origins, including the hero's transformation from cat dancer extraordinaire to full-fledged cat warrior, check out The Gentlebros' development blog here.